The upcoming “will they—won’t they” US-DPRK summit, either by accident or by design, has the potential to re-set the strategic atmosphere on the Korean Peninsula…but only if Washington and Pyongyang can find a convergence of common interest. There are limitations on American action on the Korean peninsula that constrain its menu of choice vis-à-vis North Korea (DPRK). The absence of a substantive relationship between the US and North Korea limits Washington’s economic and diplomatic leverage. However, as the more powerful party with overwhelming nuclear superiority and clear capacity to deter the DPRK nuclear threat, the US does have capacity to re-set the terms of the relationship by reducing the heat in negotiations. Washington can do this by changing the focus for the negotiations. 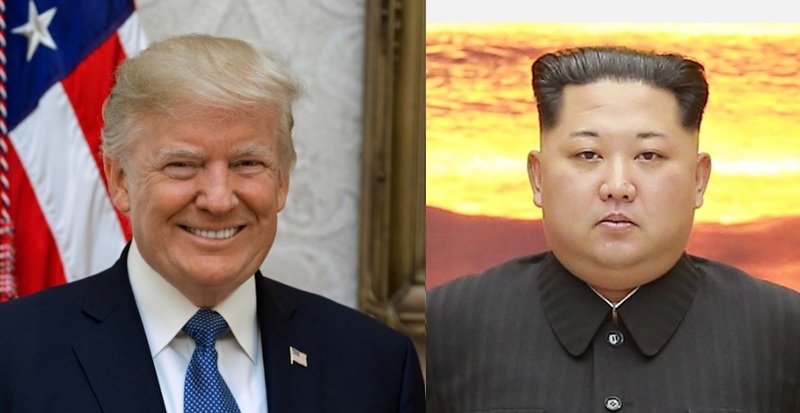 Trump and Kim: Will they meet? North Korea can be deterred as a nuclear power. A peace treaty to formally end the Korean War represents the best pathway to managing regional security and ensuring the safety of the people who live in the region. Under the umbrella of a formalised peace regime, human security concerns within North Korea are more likely to be constructively addressed. Engagement and interaction is the best vehicle for this, based on an understanding of complex systems and social change processes within the DPRK. Summits are symbols that act as markers in a much broader process of relationship-building, based on confidence-building measures and clear, achievable implementation steps. Confidence-building measures develop the relationship between negotiating parties and gradually evolve the level of trust necessary to progress to subsequent steps on the negotiation pathway. Depth of relationships are also a source of leverage; one of the reasons why the United States has struggled to influence the DPRK is that it does not have substantive economic links through which to influence the government in Pyongyang. This lack of leverage is why US officials have argued for China to play a more substantive role in pressuring North Korea, because China has a relationship with the DPRK that it can leverage. Rightly or wrongly, the US has dealt itself out of direct influence over North Korea through its various policies of strategic isolation and maximum pressure. We should also understand that from a complex systems perspective, relationships—be they economic, governmental, institutional, or people-to-people—create flows of information, wealth and resources in and out of the DPRK. Those flows interact with and turbo-charge social change processes already underway in the DPRK, as we have seen with such flows between the DPRK and China. The result is a change, developing over time, in the relationship between the North Korean state and its people over time through the marketisation and Yuan-isation of the economy, and proliferation of information technologies into the country. Regardless of whether or not the US-DPRK summit ultimately goes ahead, it is concerning that the Trump administration could blow an opportunity to meaningfully change the strategic goalposts on the Korean Peninsula by focussing on the wrong prize. The only real trinket of value that Washington has to offer Kim Jong Un is a formal treaty to conclude the Korean War. It is likely that North Korea very much wants to negotiate an agreement with the United States, but under Pyongyang’s terms. It is no revelation to long-term North Korea watchers that those terms do not include “complete, verifiable, irreversible denuclearisation” (CVID). The problem with Trump’s insistence on CVID is that there is no mutually agreeable starting point for a discussion with North Korea on those terms. There is no outcome in which the regime willingly relinquishes its nuclear weapons program because the Kim regime is so heavily invested in nuclear weapons as the foundation of its security strategy, economic development pathway, and domestic political legitimacy. The negotiations surrounding the summit need to find a lowest common denominator that both parties can agree on. We saw this in the inter-Korean summit where Moon and Kim settled on easy-win engagement measures and mutually-beneficial security measures as the starting point for a confidence-building pathway. The US and the DPRK clearly do not trust each other, and both parties have good reasons to be guarded ahead of a “will they—won’t they” summit. Most media attention coming out of the inter-Korean summit focused on Article 3.4 of the Panmunjom Declaration, which called for “complete denuclearisation” and “a nuclear-free Korean Peninsula,” building on the call in Article 1.1 for both parties to work together on implementing the 2005 Joint Statement on denuclearisation of the Korean Peninsula and the 13 February Agreement of 2007. However, this clause does not mean North Korea has committed to denuclearisation as that concept is understood by the Trump administration. In the wake of his second meeting with Kim Jong-un, Moon Jae-in insisted that the North Koreans are committed to denuclearisation, clearly hoping to maintain the diplomatic momentum to ensure the US-DPRK summit takes place. However, the North Korean interpretation of a nuclear-free Korea implies the full nuclear weapons relinquishment of the United States and ultimate fulfilment of the spirit of the Nuclear Non-proliferation Treaty. North Korea’s recent demolition of tunnels at its Punggye-ri nuclear test site are a gesture of goodwill to Washington, offering up a now-obsolete facility with an eye toward the upcoming US-DPRK summit. We have seen this kind of offering before, when the North Koreans demolished the cooling tower at their Yeongbyeon reactor in 2008. Moon Jae-in’s tactical ego-stroking comments about Trump deserving the Nobel Peace Prize aside, one can argue that South Korea does not have high confidence in the Trump administration. South Korea’s diplomatic efforts in 2018 have been geared to guiding the US into a more conciliatory position with North Korea and make it politically safer for Trump to negotiate for an agreement with Pyongyang, knowing that there are influential American officials in Trump’s ear counselling for war. Fears of American bellicosity in Seoul are not unwarranted. American hawks view any kind of engagement with North Korea as a “loss,” as “appeasement”—one of the most juvenile and misapplied terms in the international relations lexicon—and are well aware of the difficulty of getting any negotiated deal ratified in a Republican-majority Congress (recalling the fate of the Agreed Framework). National Security Advisor John Bolton’s recent comments comparing North Korea to Libya reinforce this perception. The irony of the present moment is a deal is more likely to stick in the US if it is owned by a Republican president. Such are the ironies and opportunities of Korean Peninsula diplomacy in 2018. This article was originally published in Australian Outlook. Access the original article here. Dr Benjamin Habib is a lecturer in Politics and International Relations at La Trobe University. This article is partly based on his presentation at AIIA VIC titled “Pariah or Partner? The Korea Summit Explored” on 22 May 2018.